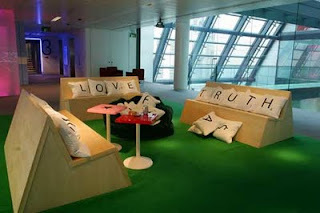 If you grew up in the 60s and 70s, and you wanted to build furniture inspired by you're favorite games, chances are you'd have to settle for a Scrabble couch with a matching love seat. If you grew up in the 80s and 90s, you'd have a whole new set of games to get inspiration from because chances are, you were a gamer. 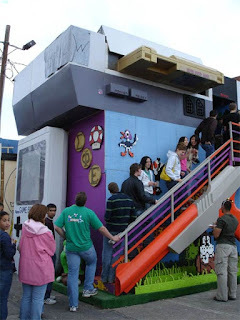 So when you finally had enough to build your dream house, you considered your options and looked at different plans and eventually settled on a design you could really relate to - a house shaped like an NES gaming console. So now you move in and arrange all your nic-naks neatly on your Tetris shelves but still it's not enough. 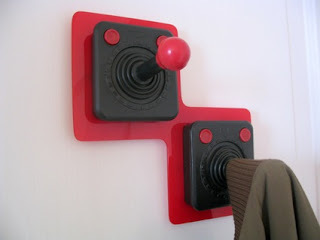 Sure, you have Atari coat hangers but honesty, you'll never be comfortable without more furniture. Lucky for you, there are many more pieces of furniture that will fit well in your decor and match the shelves and hangers. 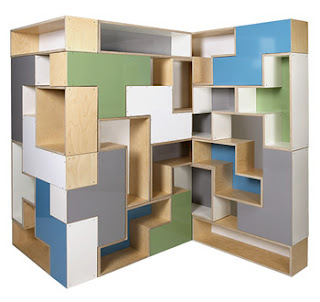 Click the hanger below to see more video game inspired furniture. You know you want them.